Welcome to the Strategy for Mobile Optimization series in which we share all on mobile! This is part 1 of the series. Before content, design, or even social, consider the fundamentals like loading speed, which can make a huge difference on growing an audience on mobile. Research from Google says that more than half of mobile users will abandon your site if it takes more than three seconds to load. In fact, Google is so laser-focused on this area that it has even launched a whole framework called AMP that is dedicated to the fast loading future of the mobile web. Typically, users ‘snack’ on content while reading on their mobiles – there isn’t always time to leave a comment when they want to interact – and frankly, things have moved on since you could only ‘like’ a post. In line with some of the leading social channels, readers want easy and quick ways to respond to or share content the way they choose – whether it’s sharing a Tumblr post or sharing something from Blogger. And social media buttons have evolved in line with that. Your site should too. But that needn’t be at a premium cost – both reaction buttons and share buttons like our own are easily installed, mobile-friendly – and most importantly, won’t cost a bean. Of course, getting mobile readers to react and interact with your content is a big step forward. But what about getting those same people to remember you, and keep coming back for more? In the past year, there has been a growing reappraisal of the power and importance of email newsletters. They might not be the newest, sexiest thing on the block – but they work. In fact, a CMI/MarketingProfs study found that email was the number one channel in terms of driving content success, more so than even social. 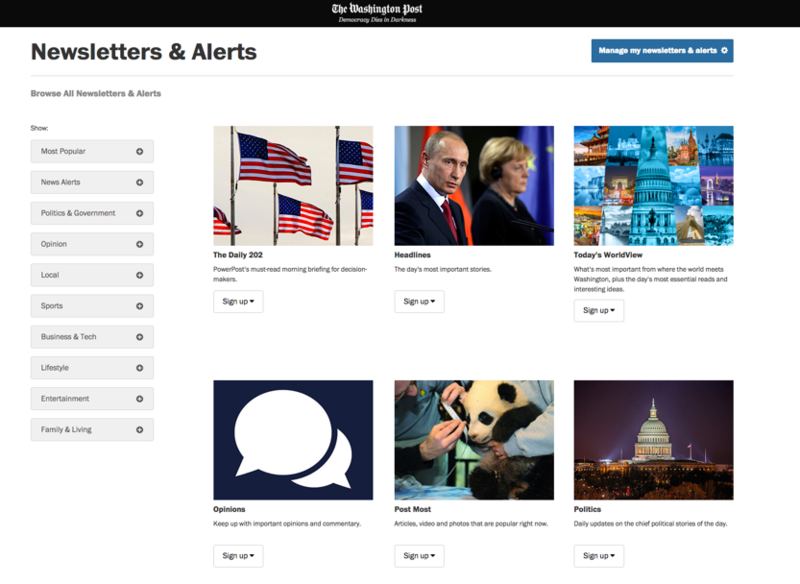 And major publishers seem to agree – with the Washington Post putting out upwards of 75 newsletters, and the New York Times with a team of 12 dedicated to email. Reminding your readers to email subscribe with a prominent request to signup is a good place to start – but some of these announcements can slow your site, or are too interruptive and not even optimized for mobile. Which is why we created our own email list builder, a convenient and user-friendly answer to all of those challenges. Experimenting with short-form content might sound unorthodox, or even like dumbing down to some publishers, especially those with a history of detailed, investigative journalism. But as reading shifts to mobile, on top of the long-form writing we all value, changing consumption could also be an opportunity to experiment with other formats, content types, and lengths. Just as many publishers have whole-heartedly embraced short-form social channels like Twitter, surely there’s also room for this type of reporting on their own sites? Since mobile screens have only an area of a few square inches to display content, snappy, concise content – perhaps in the form of live updates or blogs – could play an even bigger role in future. 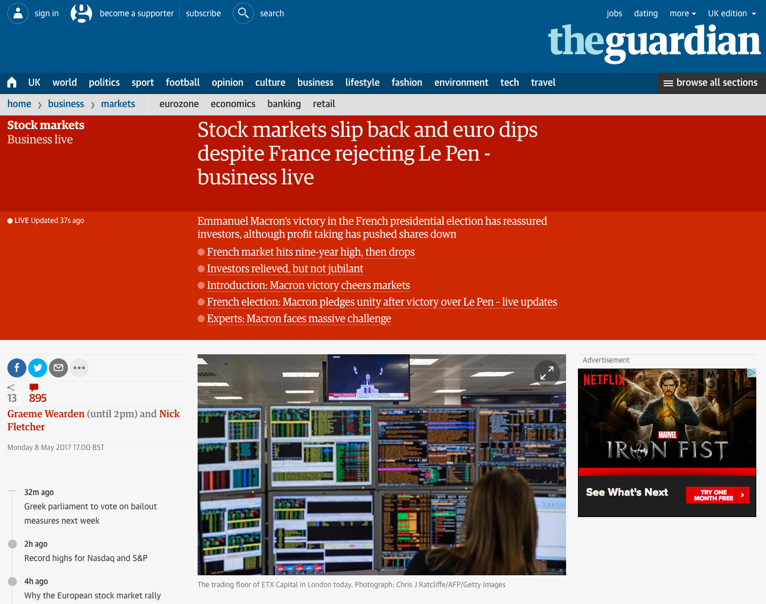 The Guardian is one publisher who has embraced this content format in a big way. You might not win the mobile race in one shot – or through running any of the four routes listed above on their own. But what if there were products out there combining all of their best bits together? Take our own new reaction buttons and share buttons for example. Then add the email list builder and social A/B tool into the mix. We built our tools with a mobile future front of mind. They’re all lightning fast and customizable — ideally suited for publishers looking to win the race for mobile readers, right now. Using our tools, you’ll perform the double action of attracting readers and building user engagement at the same time. Should your publication use inline or sticky share buttons?